Welcome to the official discussion thread for Kirby: Planet Robobot on the 3DS! To start, please add this game to your log, add it to your collection (if applicable), and (when you are ready) rate it using the link above! Welcome, to the Negative World discussion page for the Game of the Year for 2016. Yes I know that it may seem early to make such judgements but just look at these wonderful screenshots below and tell me this isn't the best game to come out this year. Perhaps a bit of music will soothe the savage beast and convince you to see things the way I do. Very well. Here we have this game's boss music for your enjoyment. So people are playing this game right? I have it. Does that count? Haven't got around to playing yet though. I got it and beat it about a week back. Very satisfying. Nope. I don't care for Kirby games. Glad to hear others enjoy it though. I got this game from the library. It's cute and cuddly, with lots of firepower! Thumbs up. I'm close to the end of World 2, and yeah, this mech gimmick is much better than the Super Abilities from Return to Dream Land, and the super-sucking Hypernova Kirby from Triple Deluxe. Instead of slowing down the game with big cinematic attacks and super obvious puzzles, the mech actually speeds things up and feels naturally integrated into the regular gameplay. Thumbs up. Other than that, so far it feels like merely yet another solid Kirby game, with a bit more polish and unique set pieces. Thumbs up. Got it and beat it but while it was fun, it wasn't anything that special. I'm not sure if Kirby games are for me. They feel like very dialed down platformers with how simple they are. Even with the large selection of abilities, they never feel like they bring anything new or exciting for the player. The robot mechanic is fun but I think it's just the overall challenge that's really lacking, even when going for 100%. @VofEscaflowne Kirby games rely on a certain level of charm to get you into them. If that charm doesn't work on you then the games generally lose one of their greatest assets it also means you don't have a soul. Finished the story! After a few Worlds, I was pretty sure Planet Robobot would top the recent "trilogy" for me (Return to Dream Land, Triple Deluxe, Planet Robobot). The mech gimmick is just better than the other games', and Planet Robobot is just generally better paced and has better puzzles, more polish, etc. And then right at the end, this happened and there was no other choice. Three thumbs up. I missed eight or nine Rare Stickers, and the game is nice enough to tell you which stages they're in (and even spend Play Coins to get hints if you want), so I'll probably go back and find those. I still need to check out the Kirby 3D Rumble minigame, and then I'll think about playing through Meta Knightmare Returns and The Arena. I also finally picked this up. It WAS in my opinion a little bit too similar to Triple Deluxe, and Return to Dreamland before it, and I hope the next installment changes things up more than the last two iterations did. That said, it IS a really well done game, and the robot transformations are really cool. Plus turns out getting rid of Kirby's floatiness and unlimited flying ability makes for more satisfying platforming segments. Who knew? I also agree with nate that the puzzles were better than in Triple Deluxe, even if usually they were easy to figure out on the first or second try. However I disagree with nate's blatant taunting of Kirby for not having thumbs in his next-to-last post. Yeah, I pretty much agree with you. It feels a little familiar, but also very polished and well done. I particularly enjoyed the final boss fights (nice nod to Kirby Super Star!) and the EarthBound-ish ESP power. Last night I decided to try out Team Kirby Clash, ended up getting all Platinums (playing solo, forever alone) in one sitting. I like how the classes handle differently -- I really like that the hard-hitting Hammer Lord is super slow but still maneuverable enough if you know the bosses' patterns. 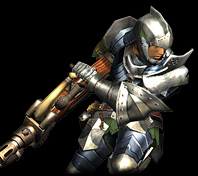 Seems like the Sword Hero has a higher DPS and plenty of speed to boot, though, plus that tank-like area shield. And I didn't really notice any effect from the Beam Mage's time slowing ability. I also played a few stages into Meta Knightmare Returns, and man can he book it! That temporary speed ability turns the game into a pretty fun speedrun. Got the rest of the Rare Stickers, too. Tons of "common" ones left, but I already have Boxboy and Dream Course stickers so my mech is running at peak aesthetic performance. So yeah, I guess I'm going for 100% in this one. I even spent like half an hour flipping through the Sound Test (160+ songs! Though a lot of them seem to be repeats and tons of returning tracks from past games). True Arena finished! Incredibly stupid that the final boss fight ends in an unblockable one-hit KO attack. Luckily I didn't get hit by it, or my 3DS would be in pieces out in the rain and I'd need to repair a window. Other than that, really neat surprise callback in a game full of them. And so my file is 98% complete and I'll stop there, as all I have left is 30+ random stickers I'd have to farm.